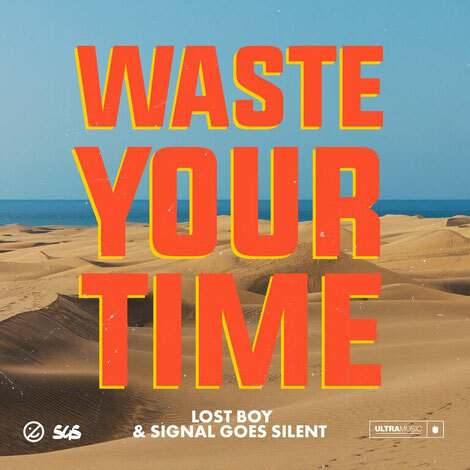 California-based Lost Boy has teamed up with Signal Goes Silent to release the summer track ‘Waste Your Time’, marking Lost Boy’s debut on the Ultra Music label. Melodic guitar strums kick off this upbeat dance-pop track, as Lost Boy’s vocals lead the track directly into a series of trumpeting, rhythmic drops. Dillon Deskin aka Lost Boy got started as a singer/songwriter before producing and co-writing his first-ever certified hit, ‘Cake’ by Flo Rida in 2016. Charting on Billboard’s Hot 100 and Top 40 charts, the track soon hit gold status. This led him to start releasing as Lost Boy, starting with his first single ‘Poison’. In January 2017 he released his ‘Big Bang EP’ where his title track apparently amassed 1 million plays on YouTube in only 15 days. By late 2017, he’d released his most successful tune to date ‘Paradise’, a collaboration with Luude & TWERL that had garnered more than 2.6 million Spotify plays and had a spot in the Top 5 on the Spotify Viral charts in Australia. Since then he has gained momentum, starting the year with his vocals in releases like ‘Don’t Give Up’ and ‘Livin In You’, which he wrote.